Mokau township with cold air intrusion flowing downslope towards the coast with a temperature inversion as the day warms at sunrise. Aerial view over misty morning. 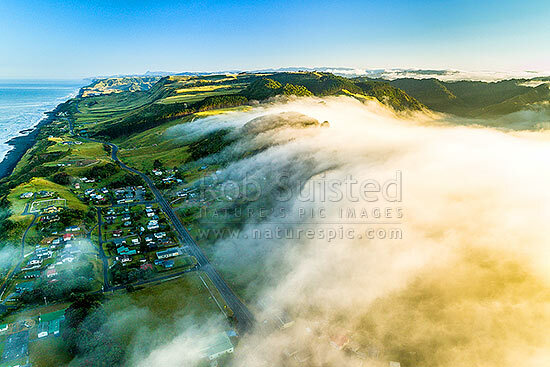 Looking north up Taranaki coast, Mokau, Waitomo District, Waikato Region, New Zealand (NZ), stock photo.